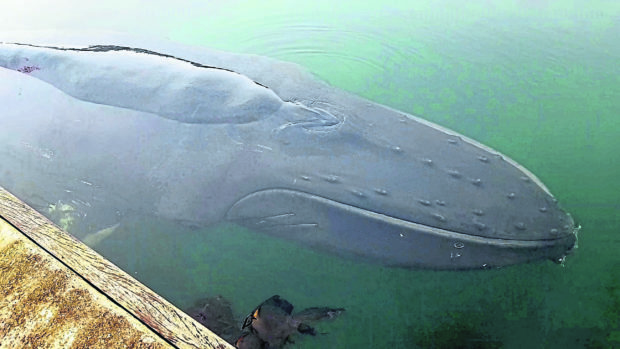 A humpback whale which became stranded in Oban has left a lasting impression on the group of marine science students who helped it return to sea. The 40ft mammal became trapped in shallow water at Dunstaffnage Bay in Oban at about 8am on Thursday, just feet from the Scottish Association for Marine Science (SAMS) base. As experts monitored the whale’s condition using drone footage, a group of marine science students from SAMS took to the shore with expert Dr Steven Benjamins. Dr John Howe, programme leader for the University of the Highlands and Islands’ Marine Science course, said the animal’s appearance represented a “superb opportunity” for learning. He said: “The unexpected arrival was a superb opportunity for our marine science undergraduate students to not only see a humpback whale up close but also to observe the response from our team, BDMLR and the emergency services. “We pride ourselves on being the university on the beach, and use our amazing natural marine environment in our teaching. “But whale sightings are only normally possible on a research vessel in the open ocean. Marine experts from British Divers Marine Life Rescue (BDMLR) and SAMS members descended on the scene as fears grew for the welfare of the whale, which was marooned between a pontoon and the association’s laboratory. Following a six-hour operation involving local coastguard rescue teams, Oban lifeboat, police and firefighters, the young whale returned to deeper water before disappearing completely from sight.